Life with Giggles: Edward Cullen is HOT! 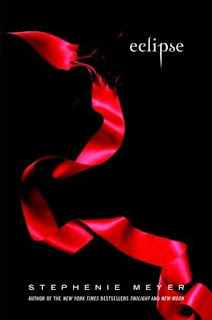 I have started the third book from The Twilight Saga and already loving it! I'm hooked along with the rest of the world with this series. The books have me so involved that I actually feel the emotions Bella goes through. I swear to you that I really do feel the emotions. It's amazing, one minute my hear is fluttering and the next minute my face is clenched and I can feel the anger and fear running through my blood. Amazing. That's all I have to say. A M A Z I N G.
There is a lot of criticism out there about the books and author, but I decided to finally read it to see, and I instantly became hooked. I think the books are great and am loving it. I might go out this week to rent the movie of Twilight and see how that goes. So, who else is addicted like I? Come on, you know you are! Let's discuss! PS. Edward Cullen is HOT!!!!! !